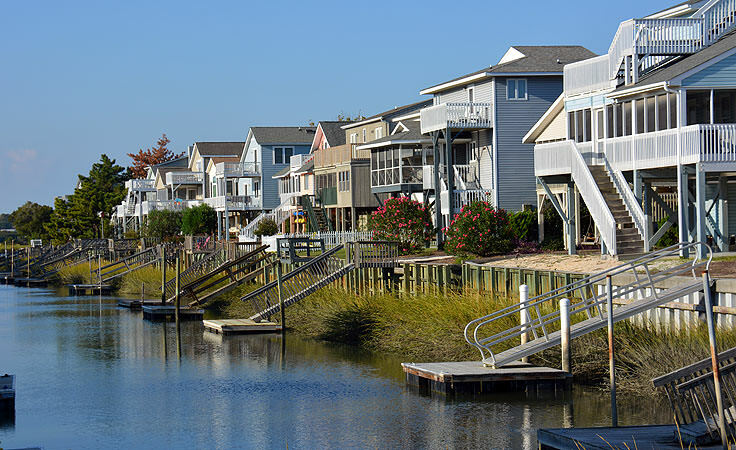 A small southern town that's just 5.8 square miles in area, with a year-round population both on and off the island of about 1,800 residents, Sunset Beach certainly feels like a quiet vacation destination, and yet features all the amenities of a busy resort community. 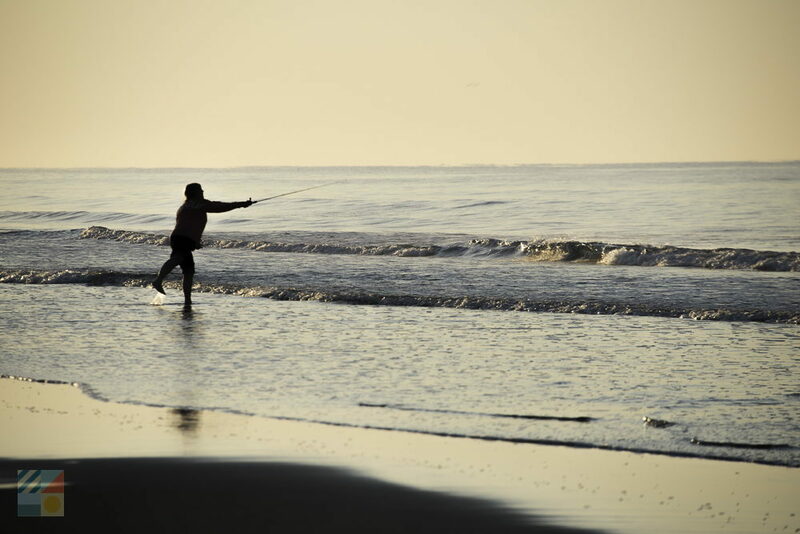 With acclaimed restaurants, great fishing, watersports, and some of the best golfing along the southern NC coastline, this community caters to a wide realm of visitors with varying vacation expectations. Have a cold beer and a sunset after a long day of fishing, or spend a week discovering the region's nationally acclaimed golf courses. At Sunset Beach, a first-rate vacation can be found in an endless variety of forms, ensuring an ideal and individualized beach getaway. 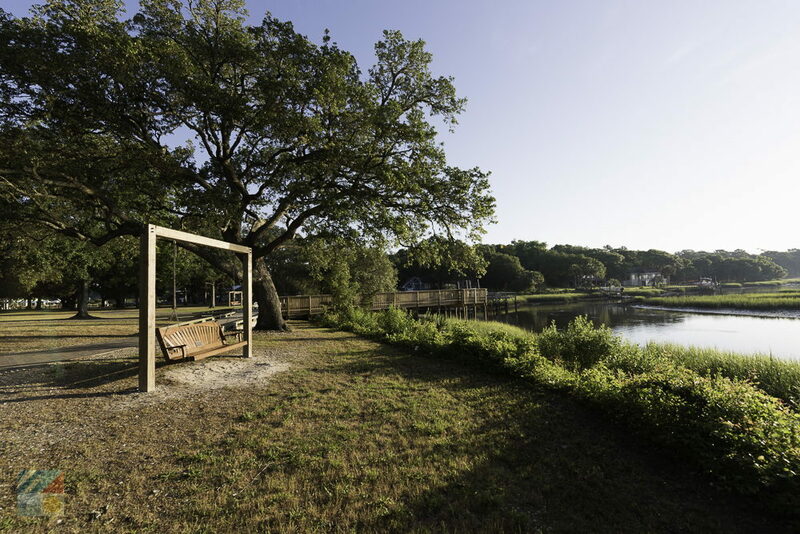 The town of Sunset Beach has a relatively short history as a vacation destination, but can still trace its original roots back to the 1700s, when the collection of southern North Carolina barrier islands and coastal territory was owned by the Brooks Family. In 1955, just a year after Hurricane Hazel wreaked havoc on the East Coast, the island was purchased by Mannon C. Gore. 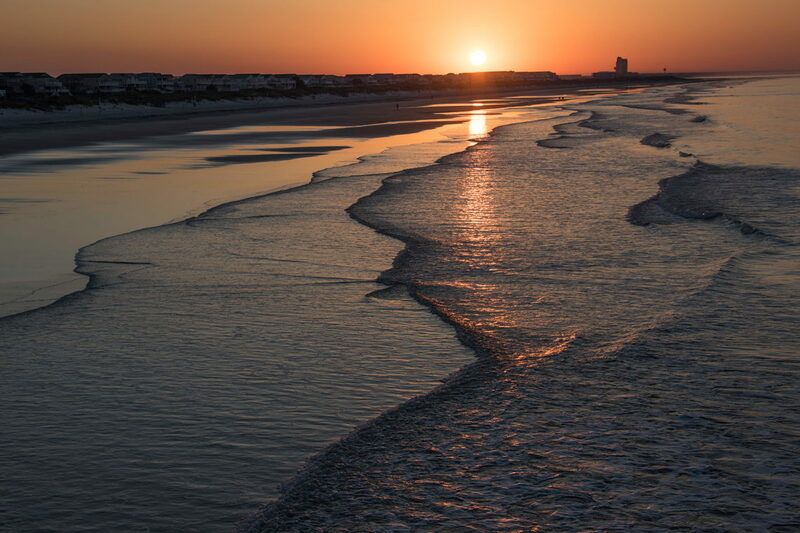 The beach, which was originally named "Bald Beach," was renamed by Gore after he spent some time on the barrier island and took note of the brilliant sunsets, leading to the name "Sunset Beach." 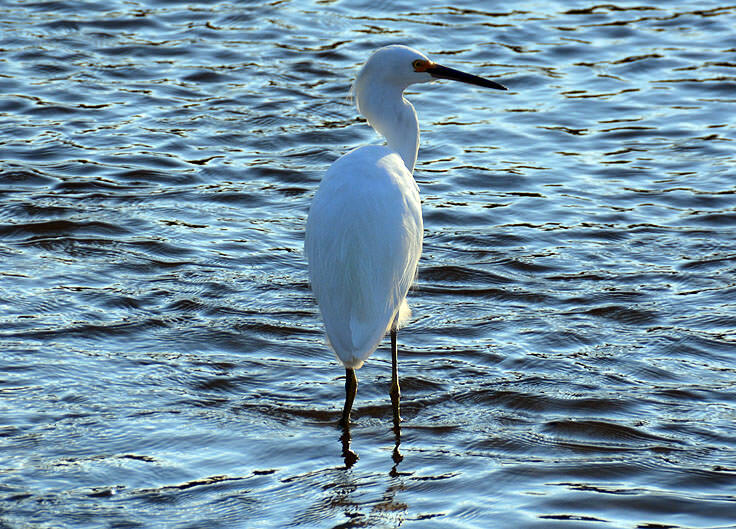 Shortly after purchasing the island, Gore also invested in 500 acres of mainland property bordering the Intracoastal Waterway (ICW). He then went to work building a pontoon swing bridge that could accommodate vehicular traffic, leading visitors on and off the island. The bridge was finished in 1958, and was one of the most unique, if not terrifying, bridges in the world, as it would slowly move up or down, depending on the tide. As developm4t and local business grew, the town was officially incorporated in 1963, with a newly established mayor and five commissioners overseeing the community. At the time, there were 30 full-time residents, but this population swelled over the years, especially with the establishment of Sea Trail Resort, a 2,000 acre resort and conference center that was built in 1984, and brought even more visitors to the region with its three distinctive golf courses. 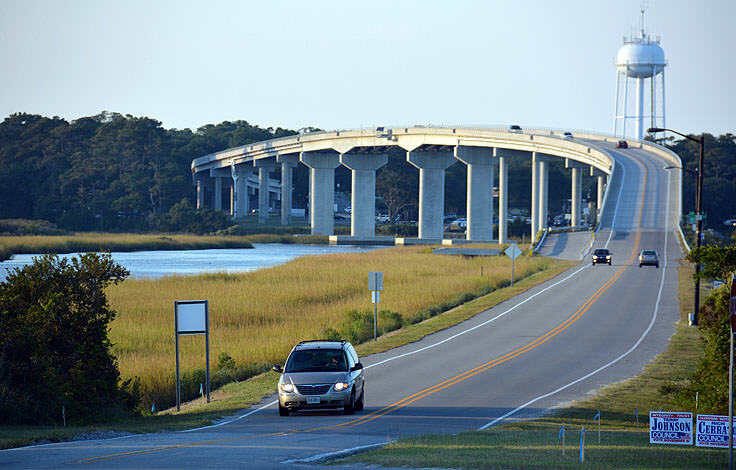 In 2010, the distinctive wooden bridge that linked Sunset Beach with the mainland was finally replaced with a solid concrete version, (which could even accommodate two lanes of traffic), and today the town remains one of the most popular beach destinations north of Myrtle Beach. 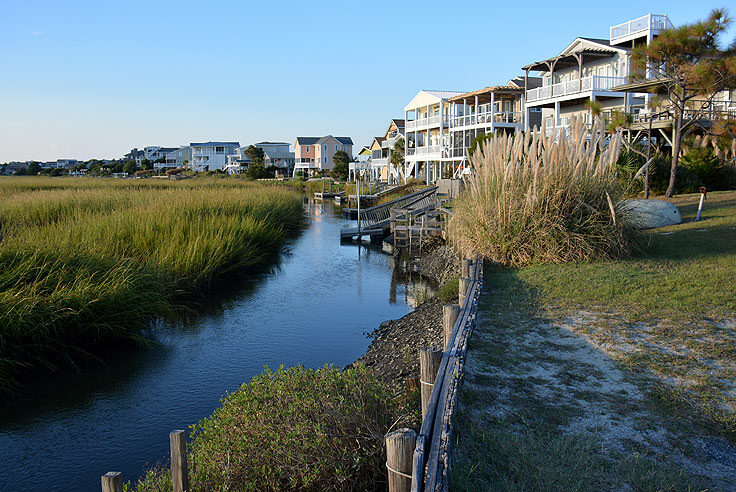 With Sea Trail alone boasting hundreds of rental units and a trifecta of premier golf courses, Sunset Beach has certainly come a very long way from its humble, post-Hurricane Hazel beginnings. 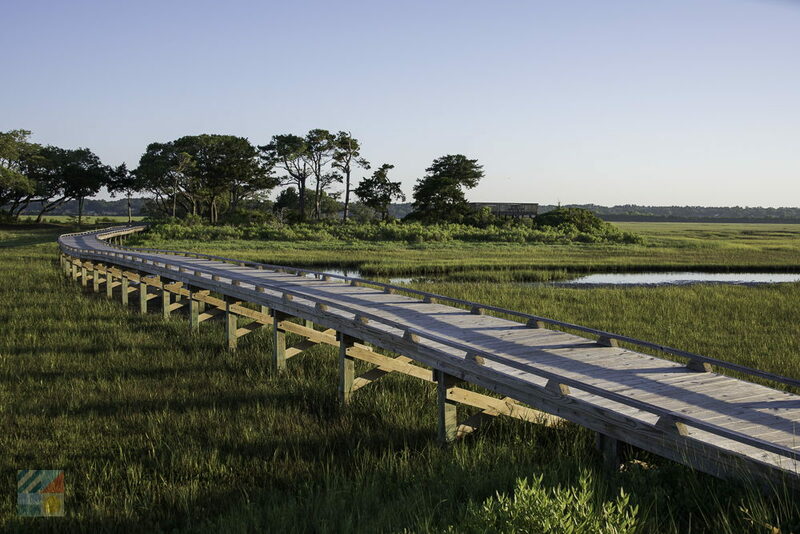 Of course, despite Sunset Beach's many attractions and amenities, the town thrives as a tourist destination mainly because of its laid-back and secluded feel. 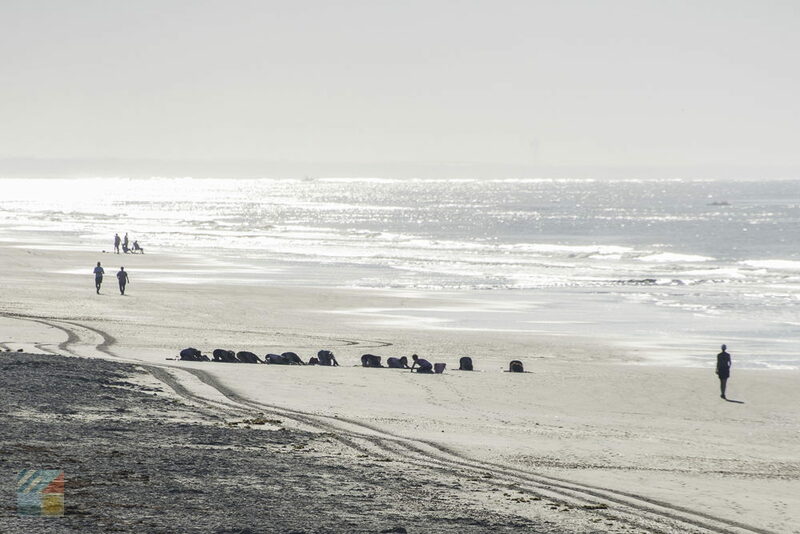 The beaches along Sunset Beach are wide, seldom crowded, and feature miles of oceanfront that are ideal for body boarding, surfing, swimming, or a little bit of surf fishing. Sunset Beach is especially popular with regional beachcombers, as it is well-known for its stark white or light gray sand dollars, which wash up in the hundreds on a good shelling day. 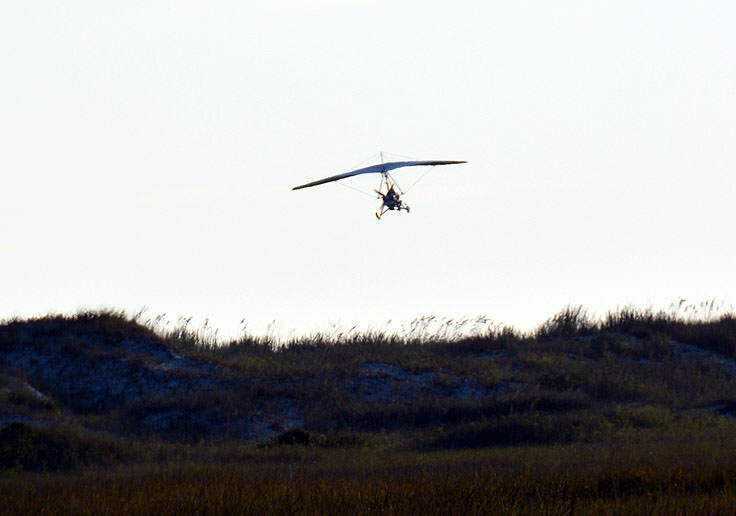 Sunset Beach has several public beach accesses, including a convenient and expansive parking lot adjacent to the pier, as well as easy proximity to deserted Bird Island - a neighboring, natural state reserve that features incredible birding, shelling, kayaking, hiking, and isolated put postcard-perfect sunrises and sunsets. 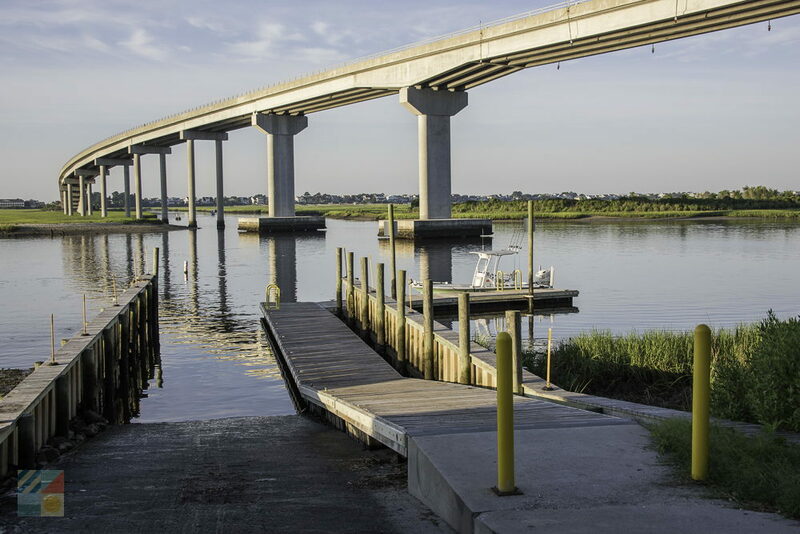 Fishermen and sightseers will also want to take a stroll along the Sunset Beach Fishing Pier, a sprawling 900' foot long wooden structure that features fantastic angling, in addition to regular historical tours of the pier itself as well as the town's unique role in history. The Ingram Planetarium is another favorite attraction. Located slightly inland, the Ingram Planetarium hosts seasonal shows that explore the mysterious depths of space, or simply allow gusts to lean back, tune out, and relax to awesome laser displays set to the music of Led Zeppelin, Pink Floyd or U2. Out on the town, visitors will discover over a dozen local restaurants that range from coffee shops to cafes, (many with neat locations or incredible waterfront views), and shoppers will have plenty of fun exploring the souvenir and beach gear chain stores, as well as the eclectic art galleries and boutiques located both on and off the island. Visitors will also find plenty of lodging options, including locally run motels and inns, resort villas and suites, condominium complexes, and vacation rental homes that can accommodate families of all sizes. With so many options, and so many nearby amenities, visitors can simply choose a locale, (such as close to the golf courses or adjacent to the oceanfront), and find a realm of properties that fit right in with their vacation plans. 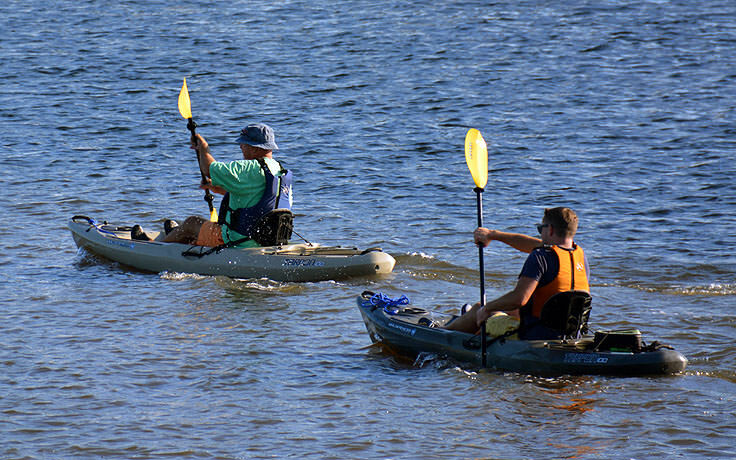 Establishments like the Sea Trail Resort and Conference Center have a number of lodging styles available in one all-encompassing complex, enabling long-weekend couples or long-term vacationers to find a variety of places to stay. 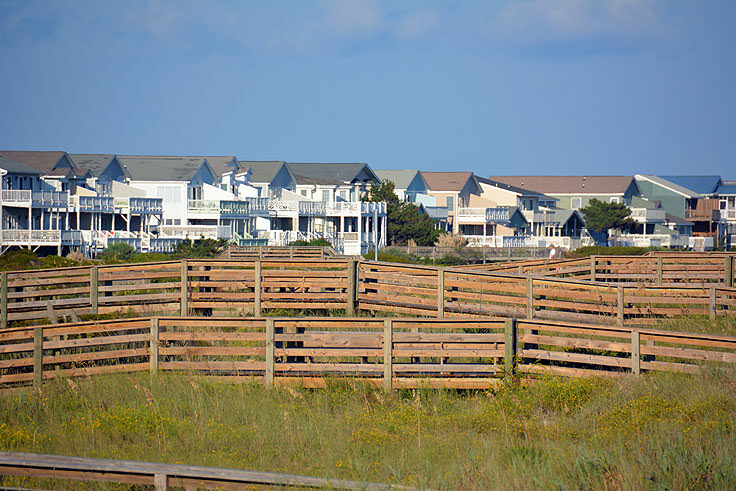 Potential visitors are advised to check out their options online, either at an area resort or through a local property management company that specializes in vacation rentals, to get a complete and detailed picture of the Sunset Beach accommodations scene. Though a relatively young vacation destination, and the smallest of North Carolina's Brunswick Islands, Sunset Beach is arguably one of the most visited regions of the southern North Carolina coast, an honor which is due to its world of outdoor amenities, great dining and shopping, and fabulous resorts which double as grand conference centers. Day trippers and weekly vacationers alike are invited to see what all the fuss is about, and start planning their own vacation to this quiet, but immensely popular beach destination. After a sunset or two, or a great round of golf, newcomers will quickly be on board with the all the charms of Sunset Beach.